It is the position of the American Dietetic Association (ADA), the Society for Nutrition Education (SNE), and the American School Food Service Association (ASFSA) that comprehensive nutrition services must be provided to all of the nation's preschool through grade twelve students. Childhood obesity has reached epidemic proportions and is directly attributed to physical inactivity and diet. Schools can play a key role in reversing this trend through coordinated nutrition services that promote nutrition education programs, access to and marketing of child nutrition programs, and providing a school environment that models healthy food choices. J Am Diet Assoc. 2003;103:505-514. Assisted Nutrient Standard Menu Planning (Assisted NuMenus) is a program specially designed for schools that lack the resources to offer NuMenus on their own but would like to take advantage of the program’s flexibility. Assisted NuMenus is like the standard NuMenus program (which is flexible and uses nutritional analysis to enhance public relations materials). However, Assisted NuMenus is different from NuMenus in that meal plans undergo laboratory analysis and are developed by outside agencies. A school district, state agency, or independent consultant works with the school to plan a menu cycle, recipes, a plan for procurement, and preparation methods which result in a workable menu plan that meets school food requirements and regulations. There are computer and software systems designed specially to support NSMP/NuMenus. These programs calculate accurate nutrient analyses of menus and recipes served in the National School Lunch Program (NSLP) and School Breakfast Program (SBP). 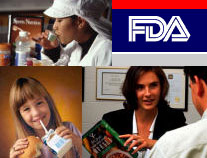 Aid schools in implementation of the Dietary Guidelines for Americas, the Recommended Dietary Allowances, and achieving Year 2000 Nutrition Objectives by computing and analyzing nutritional compositions of meals served in the NSLP and SBP. Standardized recipes offer many benefits to operations supplying school food. Developing recipe consistency means that results and yields are consistent as long as standardized procedures (regarding equipment, quantity, and ingredients) are followed. NutriData�s highly trained Registered Dietician works to create and revise recipes so that they meet or exceed USDA requirements, including the School Meals Initiative (SMI). Additionally, NutriData completes the nutritional analysis of the recipes. We can arrange for your menus to be published in print or online.